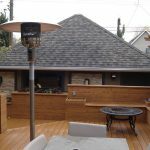 Building A Deck Foundation | Mountain View Sun Decks Ltd. In this post, learn about some information regarding building a deck foundation from our deck experts at Mountain View Sun Decks. Footings are the basic component of a good deck foundation; this is because they provide a solid foundation from which the deck establishes its support. The design of your deck determines how both live and dead loads are transferred from one section to the next of the decks concentrated points of contact with the ground below. The more footings your deck has, the less weight each footing will need to bear. Essentially, the footings distribute the decks heavy load off the surface of a support posts and onto a larger surface of soil so the ground can firmly support it. Minus the footings, deck support posts would slump into the ground below under the enormous weight of the deck. To maintain an upright posture, a pier is used for support by connecting the buried pad with the structural post above ground. The exact size and depth of a footing varies from region to region depending on the soil type and climate. While contacting your local building department for a building permit, you can ask for your areas frost depth requirement and the ideal shape of your footing. Generally, footings need to be installed at a point lower than the frost depth in order to prevent the deck from shifting one-way during winter (when the soil freezes) and the other way during spring (when warm weather creeps back). 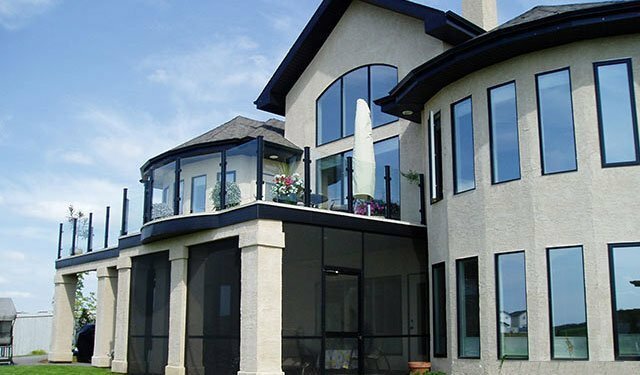 No matter your climate zone, the Institute for Research in Construction (IRC) requires that all decks attached to a house should have frost footings. These footings will have to be inspected to ensure that they can support the deck and resist damage from frost. Because footings are fixated below the ground, the composite material used in its construction needs to be free from potential decay. There is no one perfect way to install a deck foundation, whatever the installation method you choose for your footing, you can be sure that it has its own set of benefits and challenges. The first step to building a deck foundation is determining whether you want to do-it-yourself or you are willing to contract a professional to do it for you. Due to the complexities involved in acquiring a building permit, procuring necessary materials and the accuracy and precision required in the execution, sometimes it might be impractical to take on the whole process by yourself. 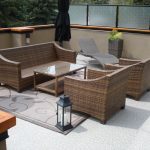 At Mountain View Sun Decks, we have a team of experts with over 20 years’ of experience in deck foundation installation.